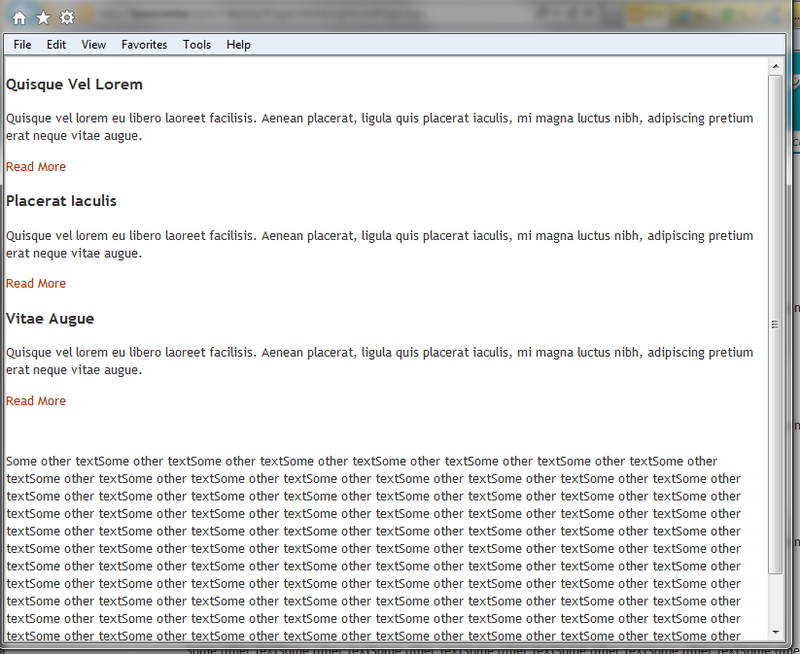 This morning I received a request from my current client which I’ve gotten before, but not in SharePoint 2010. They wanted the ability to print page and list view content easily, and without the left and top navigation elements – basically just the main content zone. This solution works great if you want to print a single page, but I wanted reusability and something that I could do once and have it work for every page in a site. That’s great, now my master page has the ability to print any page; but where do I put the link? At first I thought of adding a new DIV in the footer area of my page, but I didn’t want the Print link to be included in the printed version of the page. 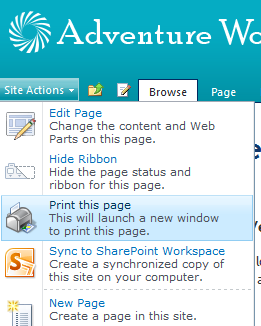 A quick search on how to add an item to the Site Actions menu gave me EXACTLY what I wanted – and since this is an Intranet solution, every user that needs to print will have at least Contribute permissions and therefore will have the Site Actions menu available to them. Description="This will launch a new window to print this page."